WJMJ is pleased to bring you a new and improved player to listen to your favorite radio station. 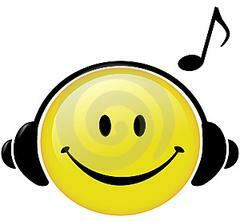 Clicking on our Happy Listener Smiley below launches our new popup player and the stream automatically starts playing. We hope you enjoy the new listening experience. Let us know. You can send a comment directly from the player. Happy listening! For Internet Explorer users, there is a known issue, not with the new popup player, but with the web page formatting incorrectly after clicking on the Smiley. You can just click your back button, or use another browser, i.e., Chrome or FireFox, which do not have the issue. Or you can follow and listen to WJMJ on TuneIn Radio. Player features: Playlist - which shows the current and last 9 songs played, and you can click on any song and be taken to amazon.com to purchase; Contact - allows you to send Email comments to the On Air Announcer (if you wish to sent a comment to station management, please email: comments @ wjmj.org [without the spaces]); Facebook and Twitter - shows our current Facebook posts and Tweets; More - contains a Donate Now link that allows you to make a secure online donation to WJMJ to help support our non-profit mission. It will eventually have links for additional information and features. There are also Twitter and Facebook buttons, that link you directly to our social media pages. If you have any problems with the player, first make sure you have the latest version of Flash Player installed. If that doesn't resolve the issue, please use the Contact tab and send us a message. Thank you, and happy listening. You asked, we listened. We are pleased to announce that you can now listen to podcasts of In the Afterglow and The Archbishop's Corner. When you click on the program name, you will be taken to the corresponding podcast page where you will be able to play a podcast and subscribe to our RSS feed. Happy listening! Where in the World are People Listening to WJMJ?